Two former ambassadors charged with advancing international religious freedom, David Saperstein of the United States and Andrew Bennett of Canada, as well as a sitting commissioner on the U.S. Commission on International Religious Freedom, Kristina Arriaga de Bucholz, discussed best practices in international religious freedom promotion. Key questions included: What can we learn from the efforts of the U.S. and Canadian governments to advance religious freedom? 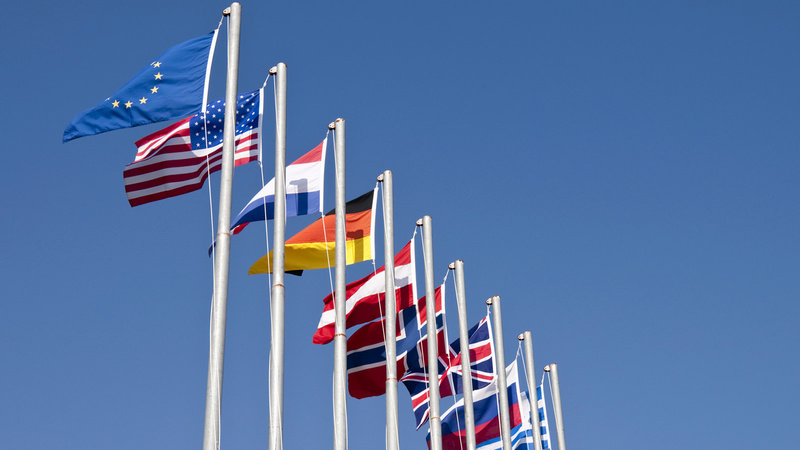 What foreign policy tools have been most effective, and which have been counter-productive? The conversation addressed the argument that international religious freedom policy can both serve American and Canadian geopolitical interests while at the same time help secure international peace and stability. The panelists also addressed criticisms of religious freedom policy, including the common perception that religious freedom reflects a parochial Western agenda that divides and destabilizes non-Western societies. RFRP Director Tom Farr moderated the discussion. Kristina Arriaga is a commissioner on the United States Commission on International Religious Freedom (USCIRF). Before joining USCIRF, Kristina was the executive director of Becket, a law firm that focuses on religious liberty cases. During her tenure, Becket won several landmark religious freedom cases, securing the rights of Native Americans to use eagle feathers in their powwows, persuading the U.S. Army to let a decorated Sikh soldier serve with his articles of faith, and defending the rights of a small order of Catholic nuns who take care of the dying elderly poor. 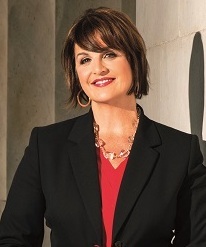 Prior to her time at Becket, Arriaga served on the U.S. delegation to the United Nations Human Rights Commission. She is a recognized expert on religious freedom and has appeared on MSNBC, CNN Espanol, C-Span, FOX, and NPR, among others. She is the 2017 recipient of the Newseum's Freedom of Expression Award for her work in religious liberty. She earned an M.A. from Georgetown University. Dr. Andrew P.W. Bennett is a senior fellow at the Religious Freedom Institute and program director for Cardus Law at Cardus, Canada’s faith-based think-tank, where he also serves as chair of the Cabinet of Canadians, a body of eminent Canadian lay and clerical leaders committed to reaffirming the role of religious faith within Canadian society. He is also an ordained deacon in the Ukrainian Greek-Catholic Church. 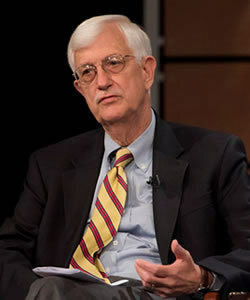 Bennett was a senior research fellow with the Berkley Center's Religious Freedom Research Project during 2017 and 2018. He served as Canada's first ambassador for religious freedom and head of the Office of Religious Freedom in the Department of Foreign Affairs from 2013 to 2016, during which time he led in defending and championing religious freedom internationally as a core element of Canada's principled foreign policy. At the same time, he served as Canada's head of delegation to the International Holocaust Remembrance Alliance, a 31-country body that leads international efforts in Holocaust education, research, and remembrance. Bennett holds a B.A. (Hons.) in history from Dalhousie University, an M.A. in history from McGill University, and a Ph.D. in politics from the University of Edinburgh. Thomas F. Farr is president of the Religious Freedom Institute, an NGO committed to achieving worldwide acceptance of religious liberty. 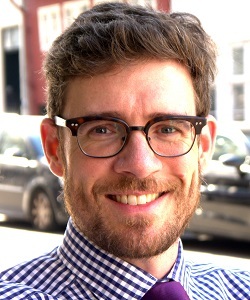 Farr is also a senior fellow at Baylor University’s Institute for Studies of Religion and at the Witherspoon Institute in Princeton, New Jersey. From 2006 to 2018 he was an associate professor of the practice of religion and world affairs at Georgetown’s Walsh School of Foreign Service and senior fellow at the Berkley Center; during 2017 and 2018 he was director of the Religious Freedom Research Project and from 2011 to 2016 director of the Religious Freedom Project, both at the Berkley Center. After a distinguished career in the U.S. Army and the Foreign Service—which included teaching at West Point and the Air Force Academy, serving as an advisor during U.S.-Soviet arms control talks in Geneva, and leading an interagency task force on verification provisions for the START II Treaty—Farr served as the first director of the U.S. State Department's Office of International Religious Freedom from 1999 to 2003. David Saperstein was the U.S. ambassador-at-large for international religious freedom from January 2015 to January 2017. He is currently is an adjunct professor with the Walsh School of Foreign Service’s Center for Jewish Civilization and previously was a senior research fellow of the Religious Freedom Research Project at the Berkley Center. An ordained rabbi, he served for several decades as the director of the Religious Action Center of Reform Judaism representing the public policy positions of the Reform Jewish Movement, the largest segment of American Jewry, to the government and leading the movement’s efforts to strengthen social justice programming in synagogues across North America. Over the years, he headed several national religious coalitions, including co-chairing the Coalition to Preserve Religious Liberty, and served on various national boards, among them the NAACP, People for the American Way, and the World Faiths Development Dialogue. 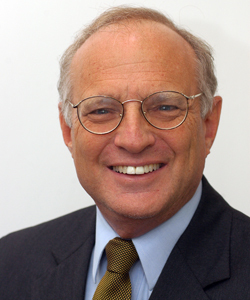 In 1999 and 2000, Saperstein served as the first chair of the U.S. Commission on International Religious Freedom. He was a crucial part of the faith-based movement that supported passage of the 1998 International Religious Freedom Act. A frequent media commentator on religion and public life, Saperstein is also an attorney and taught, for over 30 years, seminars on First Amendment law and Jewish law at Georgetown University Law Center.